A round of applause form our official taste-tester. Admittedly the bright purple hue of this porridge is a little off-putting to most adults but WOW, is it ever a sensory explosion for little kids! 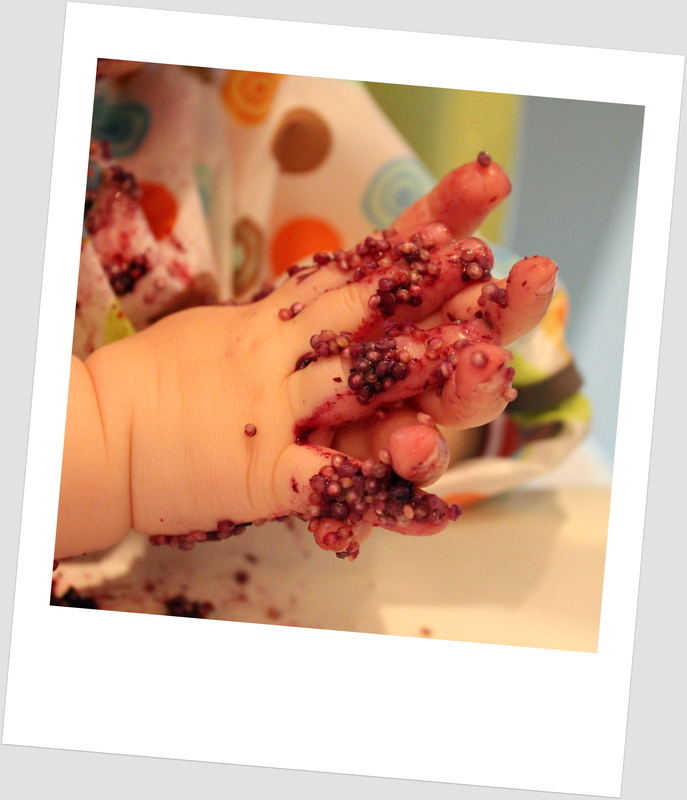 The bubbly quinoa texture is delightful for tiny fingers and mouths and the fresh blueberries add a pop of colour and juicy flavour. This morning cereal is a welcome departure from our everyday oatmeal but it also takes more time to make. Save this guy for the weekends or those mornings when junior gets up at the crack of dawn. Makes 2 adult-sized and 1 pint-sized portion. Add quinoa and water to a medium saucepan and bring to a boil. Continue to cook on low heat for another 10-15 minutes or until mixture holds together nicely. Remove from heat and serve. This hearty breakfast cereal is like health in a bowl. 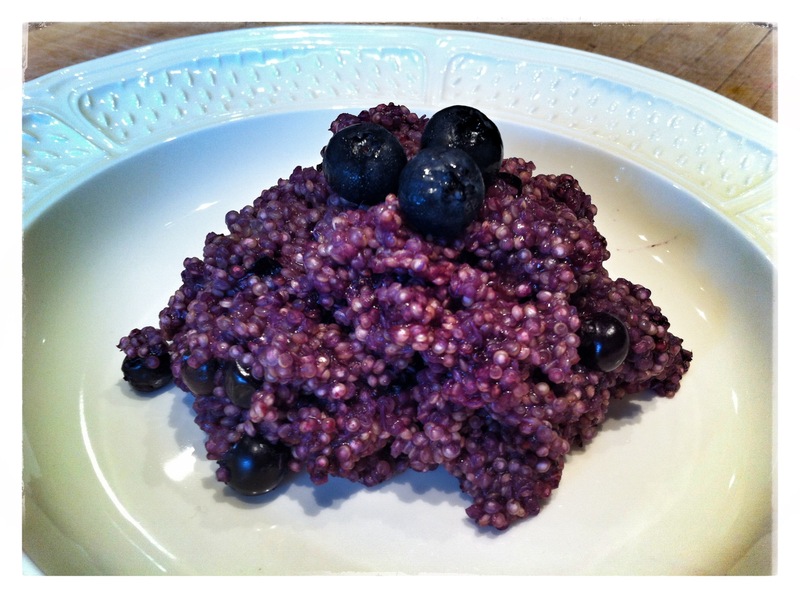 With quinoa as a main ingredient it’s packed with protein, iron and healthy B vitamins. Blueberries provide a healthy dose of vitamin C (which helps with iron absorption) and the ground flax seed is rich in fiber and Omega-3s. This entry was tagged Breakfast, Vegan, Vegetarian. Bookmark the permalink.